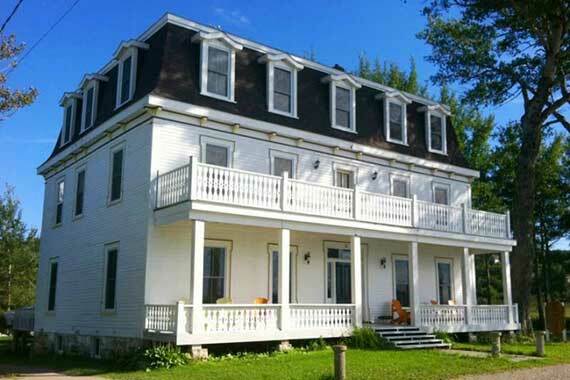 Bryden Manor B&B is centrally located on the Bras d’Or Lakes, Cape Breton Island’s beautiful inland sea. Enjoy exploring the island by day and coming home to the quiet solitude of our park-like setting, where eagles can be seen soaring over the lake, hummingbirds enjoying the different flower gardens, and deer, fox and rabbit roaming freely among our 57 acres of idyllic property. 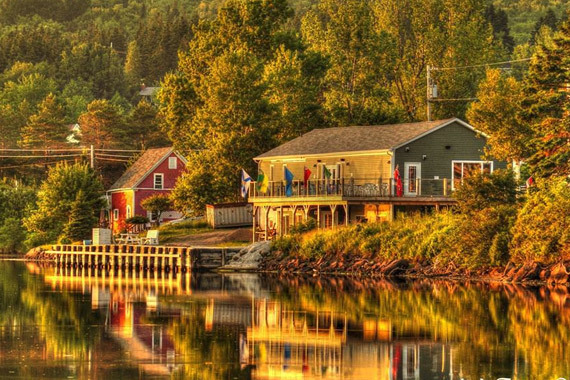 From the ragged coastline of the Cabot Trail to the soft beauty of the Margarees, the land and seascapes are a delightful feast. Only 40 minutes from Bryden Manor, guests can enjoy over 100 costumed residents of the Fortress of Louisbourg National Historic Site help visitors understand the significance of the Fortress in our history. An easy 45-minute drive from Bryden Manor, the Alexander Graham Bell Museum tells the story of the great inventor through artifacts, audio-visual programs and photographs. Visit the Cape Breton Miner’s Museum, home of the famous miners’ chorus, Men of the Deeps, and take an underground tour of the Ocean Deeps Colliery, a coal mine located beneath the museum. Golfers of all levels can enjoy The Lakes, a world-class, five-star golf course, as well as Rita's Tea Room are a mere five minutes across the lake. Take one of the most beautiful scenic drives in the world: the Cabot Trail winds for nearly 300 kilometres and rises high above the shimmering waters of the Gulf of St. Lawrence through the beautiful highlands and plateaus of Cape Breton. Our accommodations include two large suites (Queen-sized bed) with ensuite 4-piece bath, complete with satellite television, wireless Internet, fridge, and a view of the lake; one with sitting room, one apartment-style with living room, fireplace, microwave and deck. 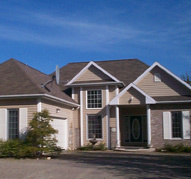 Full breakfast is served from 7:30 a.m to 9 a.m. A luxurious waterfront home with central air-conditioning, our property sits on 57 tranquil acres on the Bras d’Or Lakes. We are a proud member of the Nova Scotia Bed and Breakfast Association and the Tourism Industry Association of Nova Scotia. Visa and MasterCard are accepted. Cancellation Policy: Must cancel 72 hours prior to day of arrival (for refund of deposit or to avoid a credit card charge).